Chantael from Geeky Girl Reviews posted her review for Blood’s Voice today! This is one book I could not put down at all and this is really one I want to read book #2 as soon as I can. Very well written and a great Young Adult book. If you are into Young Adult vampire books I think you will most likely like this book. WASHINGTON — The military’s controversial “don’t ask, don’t tell” law ends Tuesday, allowing openly gay troops to serve for the first time and marking one of the most dramatic personnel changes in U.S. military history. Pentagon leaders and the White House on Tuesday will acknowledge the end of the 18-year-old law — the basis for the dismissal of roughly 14,000 gay servicemembers — and last year’s contentious debate repealing it. For the entire story visit – Stars And Stripes. Ves Asirin wins a trip to the Tower of Parlen Min. There, with 19 other children, he competes in the Sword Challenge; a series of puzzles and tasks, for $12 million. As fantastic and glorious as the tower seems to be, Ves finds that it keeps a dark and secret history that he has been connected to for over 150 years, a secret that will define his destiny … if he can escape ‘The shadow’. The Tower of Parlen Min was an interesting and creative YA read filled with puzzles, fantasy, and mythology. 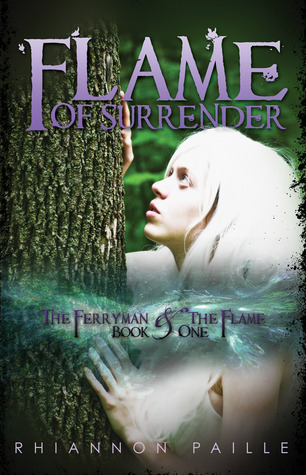 The idea behind this story and it’s accompanying blurb were what drew me into wishing to read the book (I requested to review and was provided an ARC by the author). There was a lot of information and description, to the point it seemed a little too much info and could be well served by a bit of fine tuning but it was not so distracting as to truly harm the story. The lead character, Ves, has a strange life to begin with – memory loss that resets every 10-15 hrs unless he records them in his journal. I’ve read (and written) stories that had memory loss but this was unique in my reading travels. This novel starts slow, builds with some unique style and premise work, and in the end was a story that actually made me care about the outcome for this strange kid the adventure surrounds. Interesting premise, unique voice . . . add in murder, money, and swords and you have a fun, strange world and adventure. Oddly but well written, I recommend the Tower of Parlen Min and eagerly await the next in the series. *Note: this novel is very long but worth the time! Now for the best part – the GIVEAWAY! You entries stay in the drawing until the giveaway ends on the 30th of September. Winners will be announced on the 1st of October. “Mom! In the first place we’re just friends. And in the second place—” She’s a woman. But he couldn’t very well say that. With his mother, he was still firmly ensconced in the closet… and then he realized he was actually standing in his closet and repressed a laugh. “In the second place we aren’t attracted to each other.” There. That was no lie. Check out my interview over at Laced Little Muffin’s Reading Corner! Thank you Kyanara for the lovely interview and wonderful review. 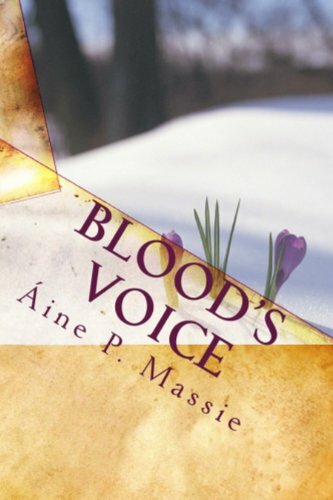 Stop by her review site for more on “Blood’s Voice” and many other great reads! "You’re intruding!" a voice shouted at him. Krishani opened his eyes and came face to face with the same man on the white horse. "I," he stuttered. "I don’t want to be here." He stared up at the man, faceless again.